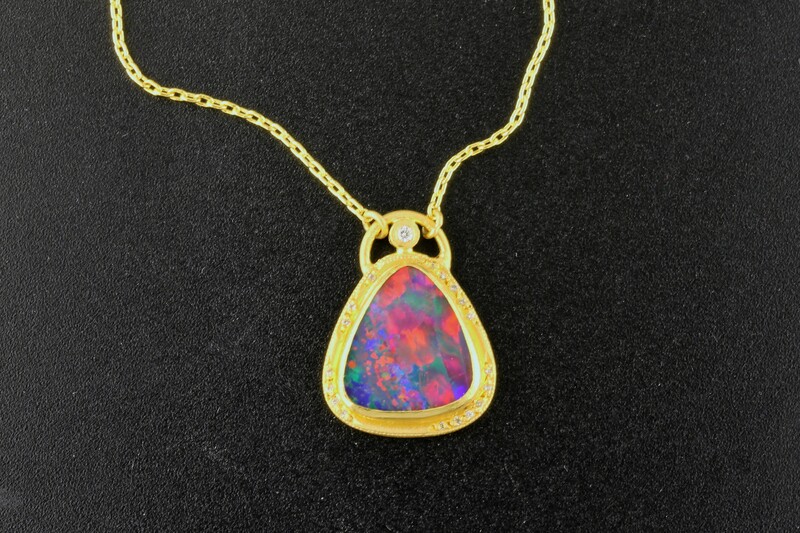 Notice the intense fire in this stunning opal! Handcrafted in Turkey, this is a unique and imaginative piece. 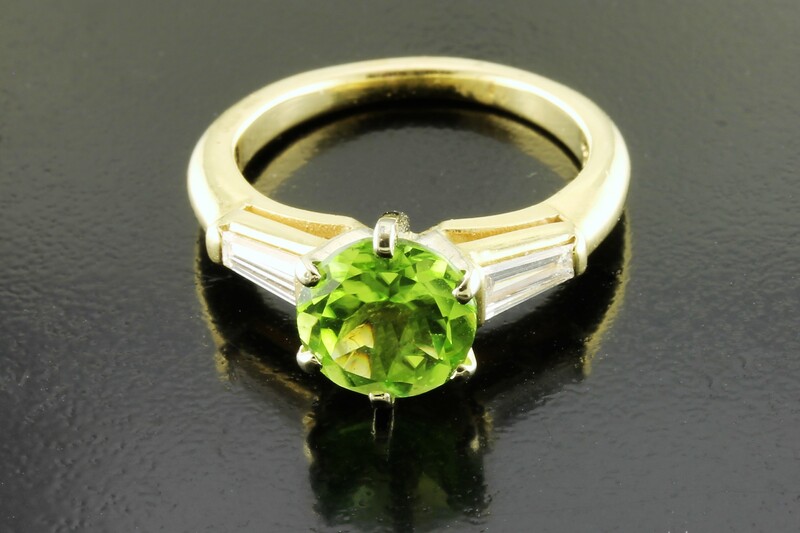 This sweet ring invokes thoughts of Spring with its vibrant green peridot! Warm rose gold with a touch of sparkle. 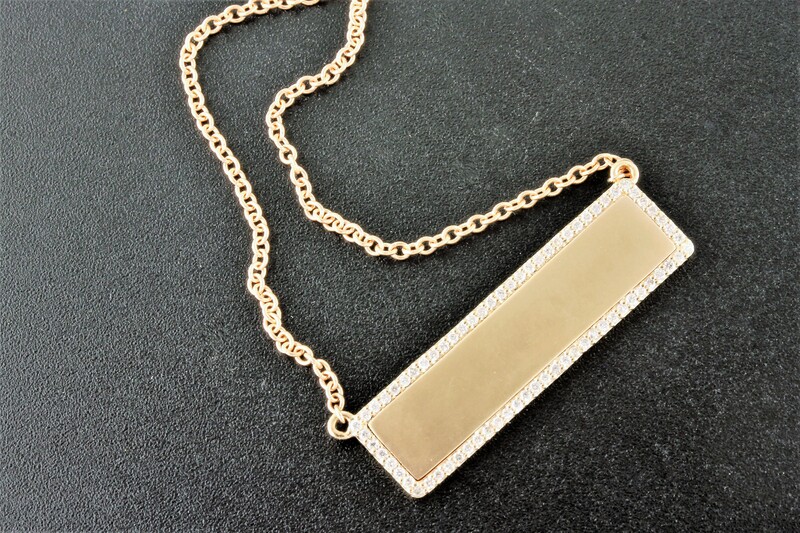 This simple and elegant pendant can be worn every day. This delicate piece combines the rosy hues of morganite with rose gold and a sprinkling of diamonds. 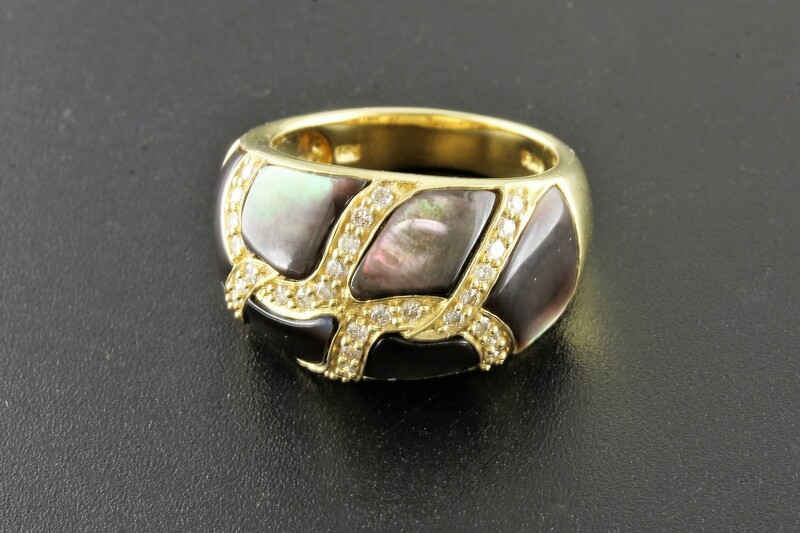 This ring has beautifully inlaid Mother of Pearl that shimmers with an array of colors. 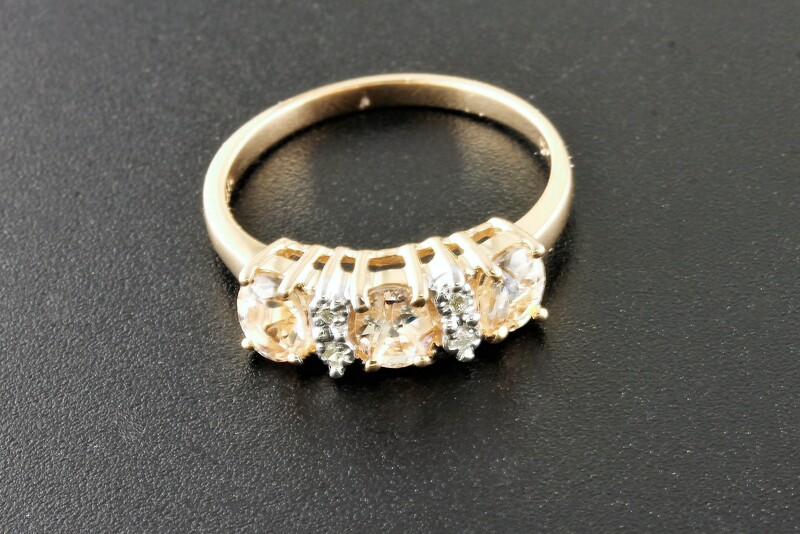 Make a statement with this on your finger! 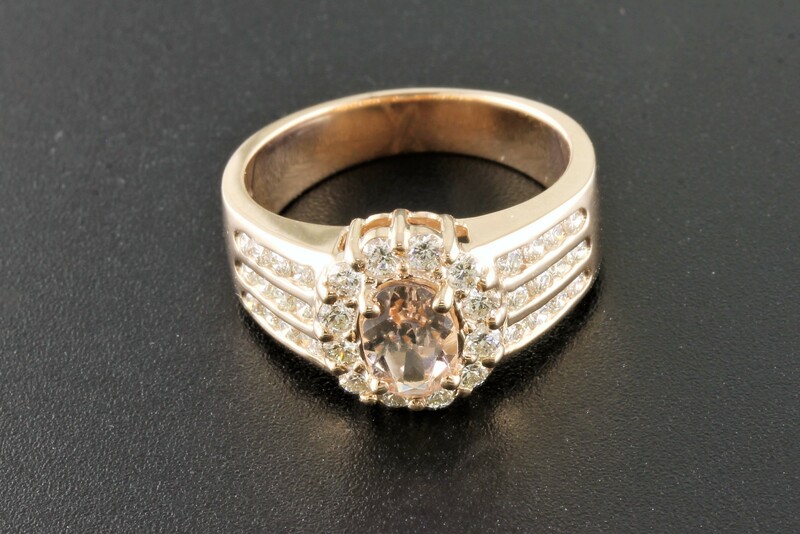 The warmth of the rose gold embraces the harmonious pink hue of the morganite. 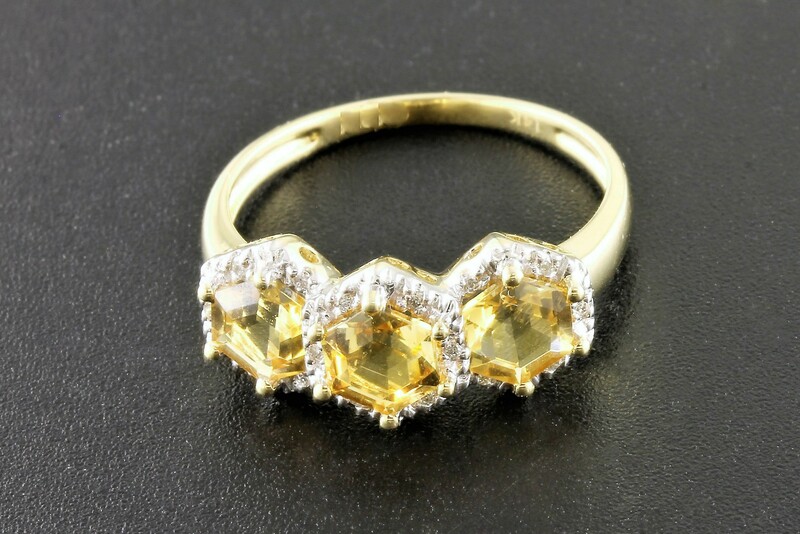 Beautifully faceted citrine stones with a touch of diamonds! 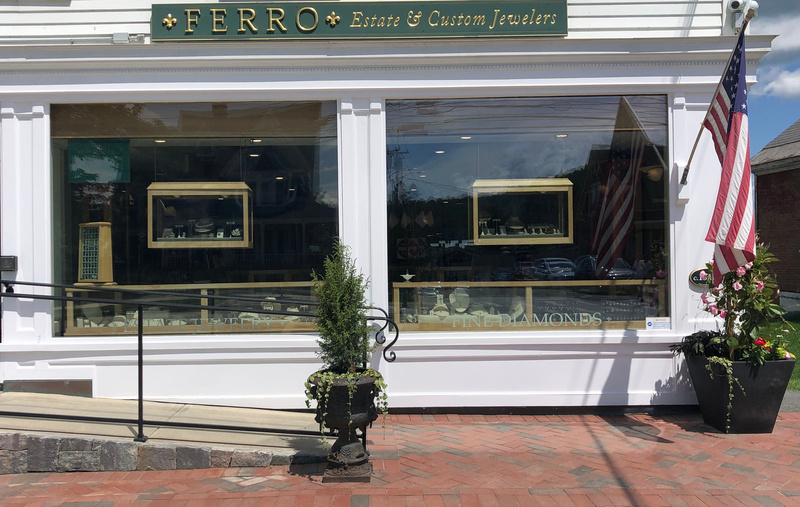 This piece is all undulating waves of white and yellow gold with shimmering diamonds. 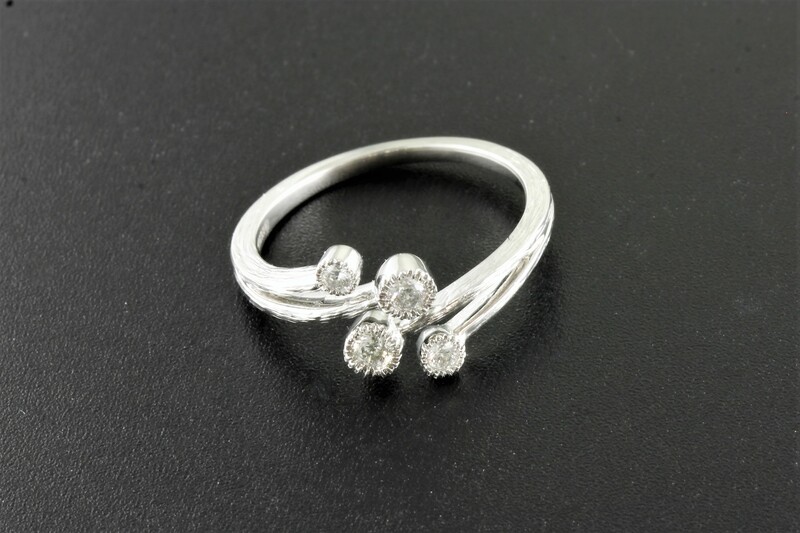 This pretty little ring wraps your finger in delicate tendril-like bands with a glimmering diamond at each end. 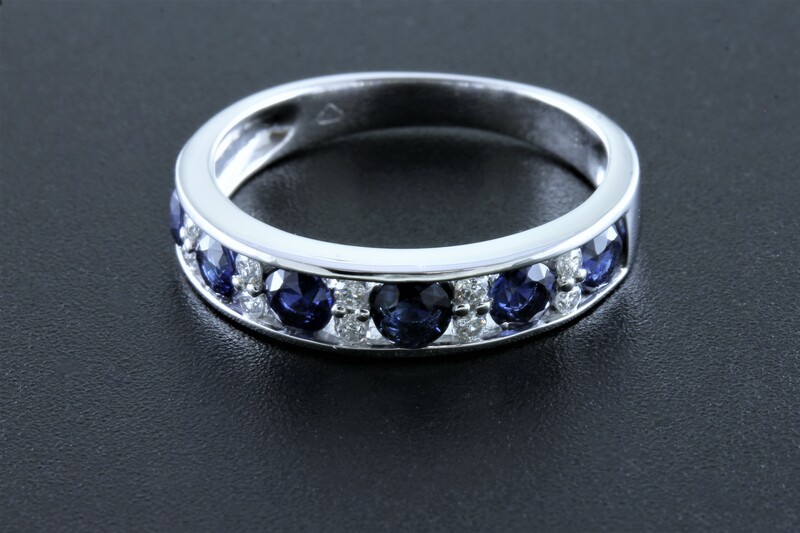 This band looks beautiful on its' own or stacked with other rings. 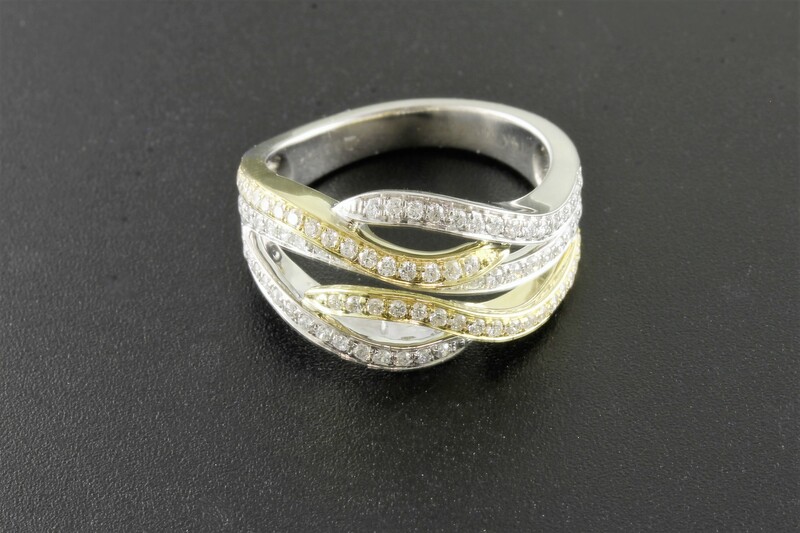 This lovely band is perfect for stacking with other bands or an engagement ring. Adds that touch of something special. 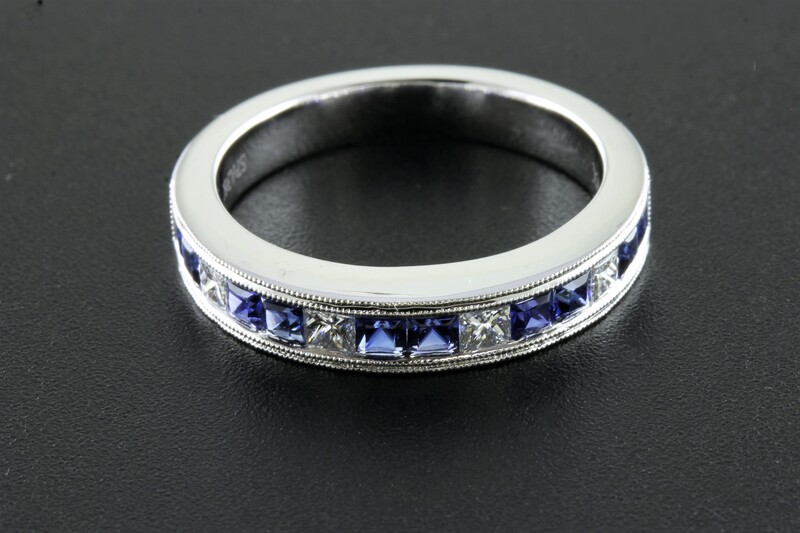 This unique band is crafted from 18kt white gold and set with princess cut sapphires and diamonds. 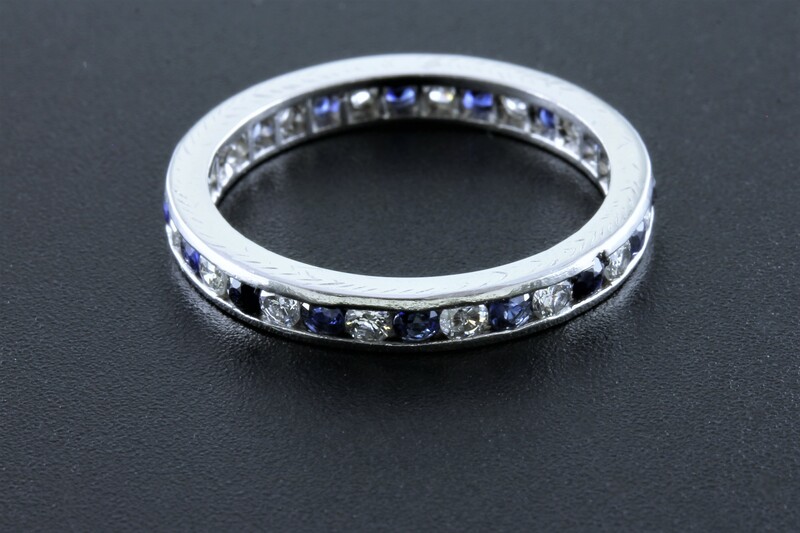 The vibrant blue of the sapphires is set off by the glowing white of the diamonds.